Archive for the ‘Thousand Islands Playhouse’ Category. Before the Summer, a fine arts show with fifteen selected artists showing paintings and sculptures in the artistic setting of the Gananoque Fire Hall Theatre. Celebrate before the summer in scenic Gananoque by the St. Lawrence River and bring beauty home. Friday, May 4th, 6-9: Music by “Evening Edition”, Ross McPherson, Nora Peterson. Finger foods, bar available. Saturday, May 5th, 10-5: Music by Harpeggio, Lea and Phil Hamblett. Bar available. 1st Annual Gananoque Childrens Thrift Sale & More! 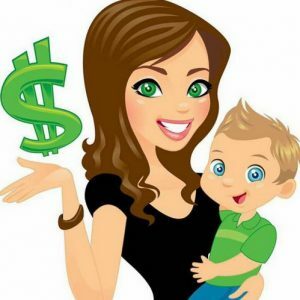 Sell or buy kids toys, clothes, electronics, games, bikes, baby gear, bedding, books, outdoor toys, sports equipment, crafts, etc, the list goes on & on! All kinds of treasures! All things kids! Raising Money and Awareness for our local Food Bank! Parent vendor tables $15 Business Vendor tables $20 Vendors keep 100% of their Sales! Bake sale, Plant sale, Hotdogs & Drinks, Door prize of a new RCA Flat Screen LED TV, 50/50 Draw, Face Painting, Batman and Batgirl will be here for photo opportunities, Outdoor Petting Zoo, Local Race Car Drivers from Brockville Speedway will have their cars on display in the parking lot. They will be available for pictures and questions. A Basket of Gift Cards totaling $1000. Spa Day Package – hair wash, cut & blow dry, style, massage, manicure & pedicure in Gananoque. Silver Cinema Double Feature Package – Includes a family pack of 4 tickets to silver cinema to the show of your choice, 4 popcorn & 4 drinks. The 2nd part of this fabulous raffle is the “At Home” package of 2 movie rentals and a large take home popcorn + a an Xlarge pepperoni Pizza for pick up from Milano Pizzeria! Please bring a nonperishable food item to donate to the food bank. As well, items like deodorant, toothpaste, feminine products are always in need. It is the time for people to thank mothers and mother figures who took the time care for them and help them through life’s challenges. Early celebrations of Mother’s Day originated from Canada’s neighboring country, the United States. Carnations are a popular Mother’s Day symbol in both Canada and the United States. Some people may choose to wear a carnation as a brooch on Mother’s Day. However, other flowers are also given to mothers or mother figures to symbolize one’s love and appreciation for them. Many people send cards or gifts to their mother or mother figure or make a special effort to visit her. Common Mother’s Day gifts are flowers, chocolate, candy, clothing, jewelry and treats, such as a beauty treatment or trip to a spa. Some families organize an outing for all of their members or hold a special meal at home or in a restaurant. In the days and weeks before Mother’s Day, many schools help their pupils to prepare a handmade card or small gift for their mothers. The origins of Mother’s Day are attributed to different people. Many believe that two women, Julia Ward Howe and Anna Jarvis were important in establishing the tradition of Mother’s Day in the United States. Other sources say that Juliet Calhoun Blakely initiated Mother’s Day in Albion, Michigan, in the late 1800s. Her sons paid tribute to her each year and urged others to honor their mothers. 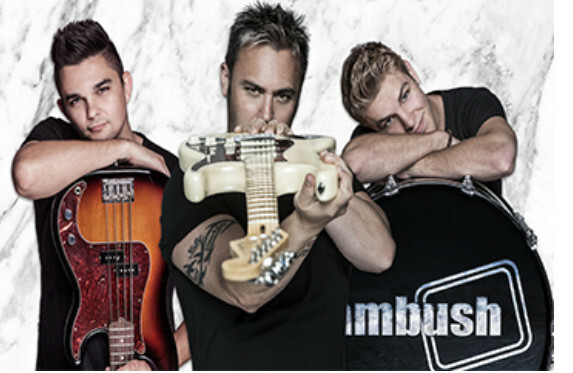 Ambush, “Canada’s Rockin’ Country Band” has been delivering their own brand of high octane country music since 1993. The trio of Mark McDonell, Kris Lafontaine, and Danny Derue are a dynamic group of performers who share an unprecedented combination of talent, experience and contagious enthusiasm. Famous for their live shows, Ambush has built an intensely loyal fan base in Eastern Ontario and Western Quebec. The Ambush Army is a quarter of a million fans strong and still growing! Performing to captivate crowds of all ages. In 2006 Ambush was crowned champions of the CMT reality series “Plucked.” Ambush has been recognized by the Canadian music industry with multiple nominations for Canadian Country Music Association awards, including: Independent Group or Duo of the Year (2006). Independent Group or Duo of the Year (2007) & Group or Duo of the Year (2007). Soon, the world will know what their legions of fans have known for years. Ambush is raw energy, sheer entertainment and just plain fun! This 3-hour cruise will feature the famous Boldt Castle and views of the American and Canadian channels. For your enjoyment we offer a bar on both decks and a large dance floor. MUST BE 19 OR OLDER. Cost: $35 per person Advance / $40. Ted and Richard share the same goal: concert pianist stardom. Two actors, two pianos, and dozens of characters tell their story in a hilarious show of piano wizardry featuring the music of Bach, Beethoven, and Jerry Lee Lewis. Mark Crissinger is a 2017 Maple Blues Award nominee from Vancouver Island. He has been performing in pubs, clubs, festivals, and fairs since 1987. His solo show features accomplished guitar playing and soulful vocals. The harmonica and a resonator guitar can make an appearance as well. During a song, he will often loop (record) what he is playing and solo over it. This sounds like two guitars playing at the same time and fills out the sound of the show. His latest “new blues” album is receiving great reviews and can be heard on blues radio shows around the world. 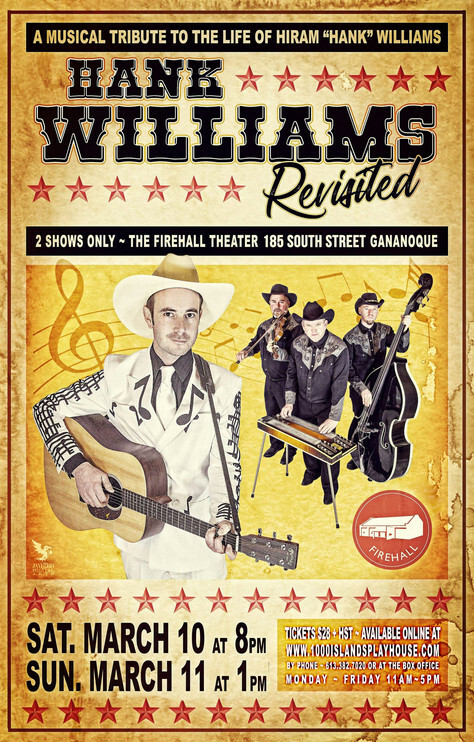 Hank Williams Revisited is a musical tribute to the life and legacy of Hiram “Hank” Williams Sr. This authentic live performance will transport you back to 1952 with over 20 of Hank’s greatest hits. This tour with Gananoque & Kingston Beer Tours, will include a walking tour of Gananoque, with a focus on craft beers in the region. We will also discuss local history, legends and famous individuals from the area. Stops on the tour will include the Gananoque Brewing Company, the Stone Water Gastro Pub, the Gananoque Inn, and the Old English Pub. You will have a tour of the Gananoque Brewing Company, and will sample a total of 8 plus craft beer on the tour. 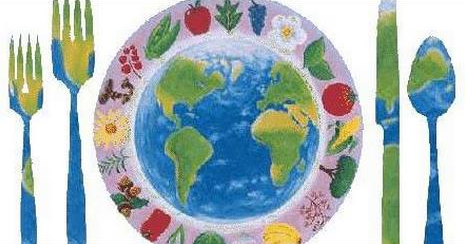 We will provide food samples from several great chefs in Gananoque. 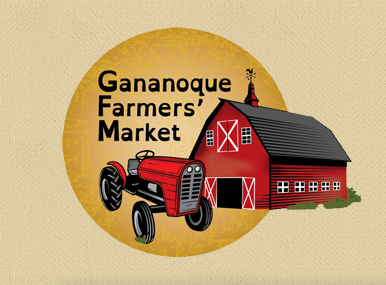 This tour will run from 1-4:30, and will meet at the Gananoque Brewing Company, 9 King St. E, Gananoque. To celebrate the arrival of the We Are Neighbors exhibit in Gananoque the library is asking community members to bring a covered dish representing their culture or heritage. We’ll be sharing and enjoying the stories of our resident’s one bite at a time. We’ll provide beverages, plates and utensils as well as music, stories and activities for children. It will be a feast for all ages, so let’s come together and connect through food and conversation! 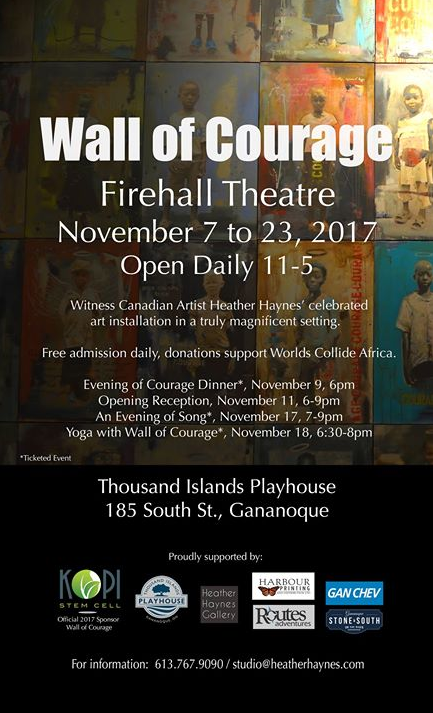 We will be presenting Wall of Courage at The Thousand Island Playhouse Firehall Theatre from November 7 to 23. The venue will be open daily from 11-5 for public viewing. We will be hosting special event evenings during the exhibition as well. If you would like to get more information on the exhibition or any of the events, please contact us. Looking forward to seeing lots of faces at all of the events! Fresh and local produce is available every Thursday in Town Hall Park! Come down and shop for produce, meat, baked goods, cut flowers, and more — and buy them all directly from your neighbours. Only locally produced goods are featured at the market, sold by the people who grew or made them. Enjoy a picnic supper and live music from the park’s bandstand during the market. 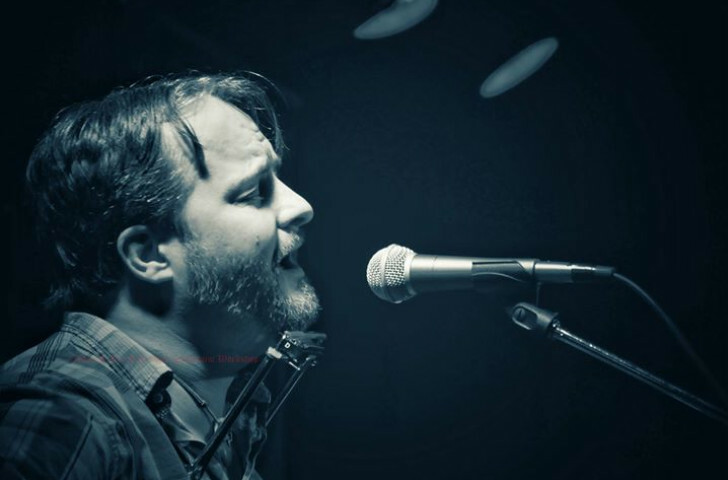 The biweekly music feature this week is Kevin Head! Swim Drink Fish Canada will present the Waterkeeper Showcase on the Main Stage of the Wolfe Island Music Festival on Friday August 11th. Swim Drink Fish, known locally as Waterkeeper, began on the shores of Wolfe Island over a decade ago. The movement works for swimmable, drinkable, fishable water for everyone. 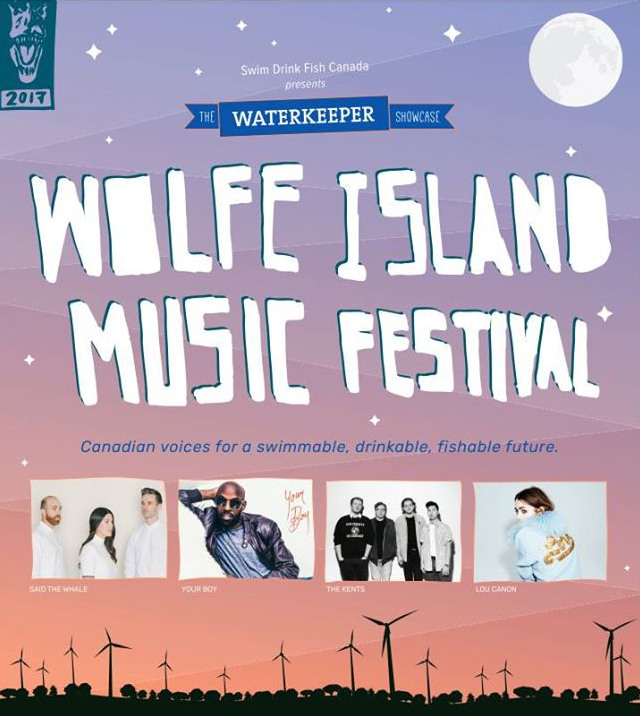 The Waterkeeper Showcase at the Wolfe Island Music Festival 2017 will close off the seven week long Wolfe Island Culture Festival (June 23 – August 12) hosted by Waterkeeper with support from Ontario 150 to celebrate Great Lakes voices. This is going to be a super fun day for your kiddies! 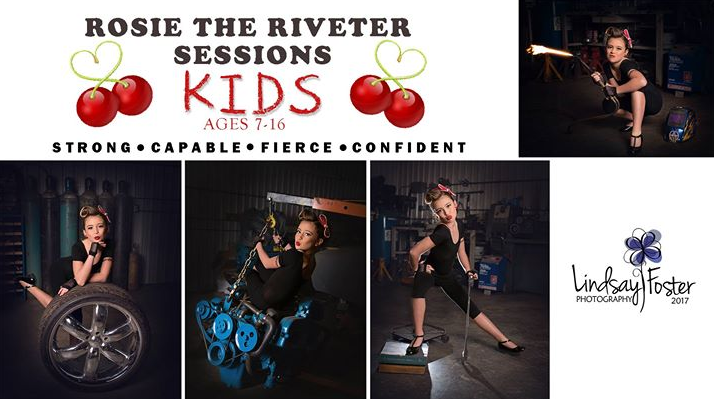 But be ready because we’re going to bring out the confidence in your kid! This marathon day will take place at Crappy Car Customs garage. -Assistant on site to help with poses and small fixes to make things run smoothly. 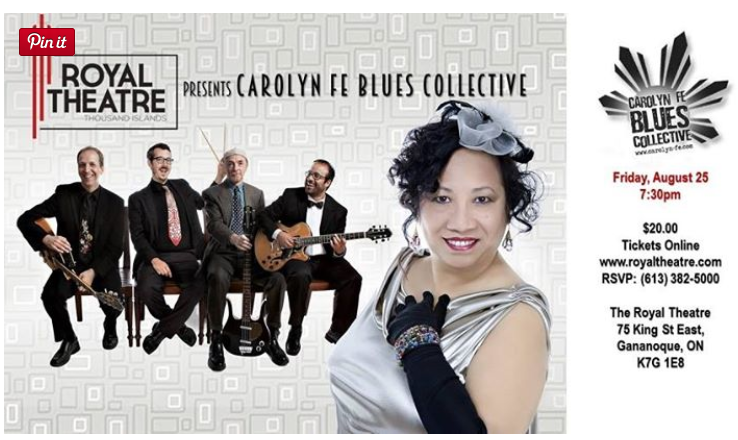 The last time Carolyn Fe Blues Collective, played the newly renovated historic The Royal Theatre, Thousand Islands was in an acoustic trio format. This time around get the FULL BAND experience! Songs from their award winning 3 albums, PLUS a sneak peak…errr, a sneak listen to a few more songs from their upcoming album! From the crowd’s reactions the last time, you best get your tickets early because this time around, they’ll sell out fast! Some history about the theatre: Built in 1930 by the Delaney family as a Vaudeville House, this all poured-concrete structure was one of the first “fire-proof” buildings ever conceived in North America. The Great Depression slowed the family’s progress with their new theatre venture, however, and it was not until 1937 that the doors were opened to patrons. The venue hosted live acts and popular movies until 1960, when it was converted to a bowling alley. Proprietor and Founding Artistic Director Kevin John Saylor purchased the imposing old building in 2013. The spirit of community he discovered in Gananoque was immediately inviting, and the fact that the town was already a theatre destination (home of the Thousand Islands Playhouse) and very famous as the “Gateway to the Thousand Islands”, made relocating an easy decision. Gary Wesley has performed throughout the United States, Canada, Australia, Chile, and South America. He has performed with Las Vegas Productions such as Legends in Concert, American Super Stars, Legends Alive and many others. 2016 is Garry’s 28th year performing at Alfred’s on Beale Street. 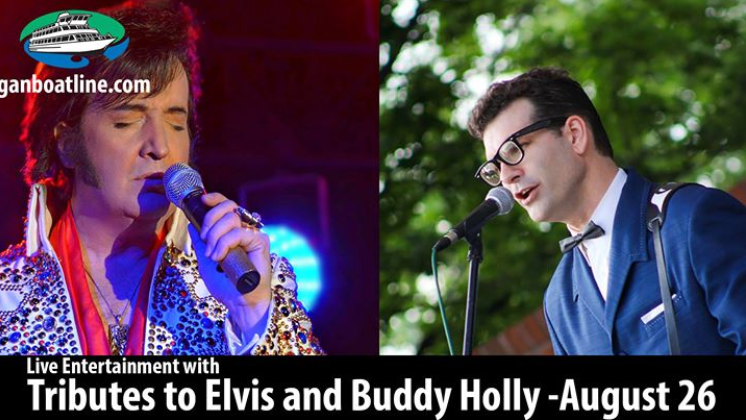 He has performed with the Legendary Jordanaires, The Blackwood Brothers Quartet, The Sweet Inspirations, Millie Kirkham, DJ Fontana and Joe Esposito. Gary not only bears a striking resemblance to Elvis but he has perfected those famous gyrating moves and has an impeccable voice. Jeff Scott entered the Tribute industry literally overnight. It began with a phone call on a cold February afternoon. By the end of the conversation, Jeff was heading to Las Vegas to join the successful Kokomo Beach Band, (a Beach Boys tribute band), where his love for 60’s pop would fit like a glove. Touring the US and Canada, the highlight of the trip would be a series of shows on the Vegas Strip, including The Sands, Aladdin, and Circus Circus. 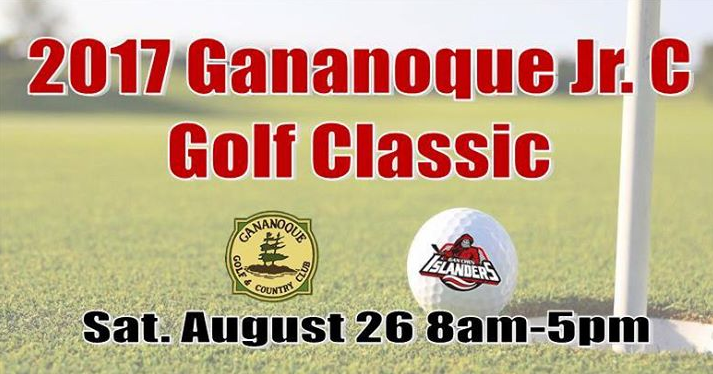 Date is Saturday August 26th @ the Gan Golf Club 8am Shotgun. Note: Carts are limited for those on a first paid first served basis. Located on the banks of the St Lawrence River in Gananoque, Ontario, the Thousand Islands Playhouse is the most popular summer theatre in Eastern Ontario. It has earned its reputation for producing works with very high production values. Attracting more than 44,000 tourists and area residents per year, the Thousand Islands Playhouse will surely impress you! The rates vary according to dates, room type and package inclusions. Visit our ONLINE RESERVATION SYSTEM (https://reservations.1000islandtours.com/)to get your rate; or call us Toll Free at 1-800-267-9497 and allow our friendly front desk staff to help you plan your 1000 Islands Getaway! Please Note: there are no double discounts and packages must be reserved in advance to avoid disappointment. Packages are subject to availability of the attraction and hotel. Rates and Packages are subject to change without notice. There are no refunds for unused portions of packages. Book your 1000 Islands Playhouse Live Theatre package today! Are you eager to explore the beauty of 1000 Islands? We have given you the opportunity to do it in style with a cruise that will leave you with plenty of memorable moments! The Rockport Boat Line will make sure you get the best of your experience. The 1 hour sightseeing cruise will let you explore the rugged natural beauty of St. Lawrence River. 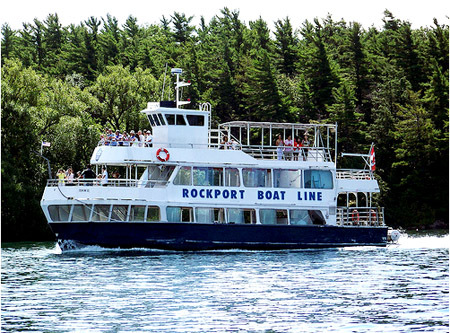 Enjoy your cruise in the heart of the exhilarating 1000 Islands aboard Rockport Boat Line! Book your 1000 Islands Escape package today! Congratulations to Cathy Baxter for winning the Thousand Islands Playhouse Contest in January. Congratulations to Pam Stidham for winning the Thousand Islands Playhouse Contest in December. Congratulations to Holly Chappell for winning the Thousand Islands Playhouse Contest. This elegant, memorable evening begins with an opening reception of fine Italian cuisine at Riva. Guests will then be shuttled to the Thousand Islands Playhouse and treated to an exclusive behind-the-scenes speech from Artistic Director Ashlie Corcoran. Then, they’ll enjoy the clever musical revue CLOSER THAN EVER in the Springer Theatre. Told entirely through song, this award-winning show is a hilarious and poignant guide for all of life’s surprises and features some of Canada’s finest musical theatre actors! To complete the magical evening, guests will dance the night away at a post-show reception with delicious desserts as well as live music by Emily Fennell on the Playhouse decks. Event takes place Thursday, June 4, 2015. Tickets are $125 each. Location is at Thousand Islands Playhouse – Springer Theatre. For more information visit www.1000islandsplayhouse.com or call 613-382-7020.